Eleven lectures, given at Dornach, 21 October to 13 November 1921. 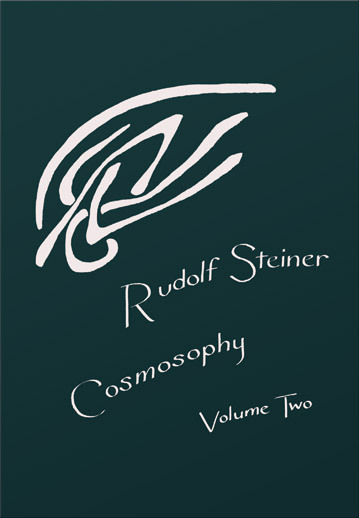 "These lectures are volume two of the Cosmosophy lecture course and the 8th volume in a series of lecture courses Rudolf Steiner gave under the general title 'Man and his Relationship to the Cosmos' for members of the Anthroposophical Society in 1920 and 1921, published in nine volumes in GA [German Gesamtausgabe or collected works] 201 - 209. The first 11 lectures [Cosmosophy vol. 1, GA 207] have been translated by A Wulsin an M Kirkcaldy and published by Anthroposophic Press, New York 1985. This volume will easily stand on its own, but readers will need to have some knowledge of Rudolf Steiner's science of the spirit and are advised to read the basic works first, e.g. Occult Science and Philosophy of Spiritual Activity. Over the years these lectures have come to be very dear to my heart. They really demand us to become active and mobile in both heart and mind, which is something Rudolf Steiner often asked of the members of the Society. The first lecture immediately turns one inside out and upside down, as it were. I have sometimes found it useful to enter almost physically into the movements described, something that may also be helpful on other occasions when studying the works of Rudolf Steiner." In USA the sole distributor of this volume is Anthroposophic Press.